As I sit here surrounded by books, working and writing, I can't help but think back just a couple years ago, when I started amassing e-books. I purchased both a Kindle and a Nook reader, set up a Google Books account too. I was converted: I moved my reading into the 21st century. Now? I have become a backslider, as evidenced by this photo. Why have I fallen from the faithful? It's really not very complicated at all. When I started my doctoral degree, I tried to purchase e-books as much as possible, often from Amazon, Barnes and Noble, Google Books, and iBooks, mainly because some titles were not always available as an e-book from one of the publishers. There were even quite a number of books not available as e-books at all. It was toward the middle of the program that I discovered that there just wasn't a way to replace being able to hold the book in my hand, take a pencil and underline and then write notes in the margins. All of the e-books readers offer the ability to highlight and make notes, but being able to do this in pencil just seemed to help me wrestle with the texts, and those who have worked on doctoral degrees know that there is a great deal of "text-wrestling" to be done. I could thumb back through the pages I marked up to quickly retrieve a note or an idea that I had during my original reading. Still, I am not sure I have a totally rational reason for my almost-complete move back to e-books unless it as the current state of my study shows: I can stack the books around and see simultaneously, in one glance, where I've textually been and where I am going. A few years ago I heard the chatter that physical books were going the way of 8-tracks, cassette tapes and vinyl records, but here it is about four or five years later, and the total demise of physical books has not yet occurred. What has occurred is the blunting of my enthusiasm for e-books. Sure, I still purchase them, especially if it's a title I would like to see immediately, but many times I have elected to the physical book instead. I even find myself thumbing through the new titles on Amazon's website to see if there are books I might want to pick up at the local bookstore. It turns out the failure of e-books to eradicate physical books wasn't enough, and it seems that vinyl records, 8-Tracks, and cassette tapes are coming back as well, though I have yet to long for those yet. I've heard and keep hearing all these predictions about how this technology is going to revolutionize this industry, and how this device is going to make some old standard way of doings things obsolete, but it just doesn't seem to be happening with the same level of frequency anymore. In my case, I literally enjoy the comfort of being surrounded by books that I am reading. That's just not something they've figured out how to get out of Kindle app yet. Why Pursue a Doctoral Degree? You Might Be Changed By It! I think it is fairly obvious that I haven't posted anything here in some time. Some have probably thought I dropped off this earth, and there are perhaps those, because of my sometimes irritatingly political posts, who hoped that such had happened. The truth is, so much of my time is consumed with working on my dissertation that blogging has taken backseat. 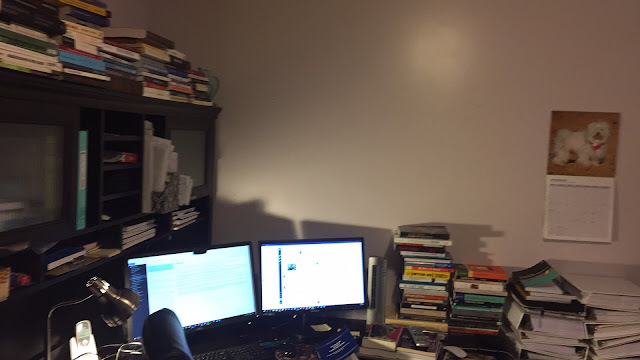 The constant reading, writing, and journaling takes just about every spare moment I have, and when there is a moment I am not working in my role as principal of a small high school, and working on this infernal degree, I am sometimes too tired to even look at a computer screen. In spite of all these travails though, I would gladly engage in this pursuit of a doctoral degree and would encourage others to do so too. Here's why. This scholarly endeavor has changed me in dramatic ways. I don't look at education, my job, or even leadership in the same way any more. I now find myself entangled with the Postmodernists, Poststructuralists, and Deconstructionists. Now, I won't subject anyone to any attempt to explain those terms. If you're an English teacher, you probably encountered these schools of thought (if that is what they are) in your literary criticism classes as I did. To be honest, I didn't pay much attention to them then. But what's different for me now, is that here toward the latter years of my career as an educator, the likes of Foucault, Derrida, and Deleuze once again haunt both my work, my thoughts, and even my writing. They have unsettled everything I once believed to be "education science." Once again, I won't subject you to a biography or description of the contributions of these individuals to literary or cultural studies; I simply say that these Postmodernists-Poststructuralists-Deconstructionists have disturbed me as a practicing educator and educational leader. How can that be? Through them, I've learned that I don't really know as much as I thought I did, and many of those things I took for granted as "truth" are not the truth. Even my daily actions and thoughts about what it means to be an "effective educator" is not as simple as it once was. The intellectual challenge that these thinkers have wrought has made me more inquisitive, and even more skeptical it that was possible, of this thing we call education and all the "science" in which we wrap it. In effect, I've actually come home, because in these thinkers, I've found the permission and means to continue to be skeptical, which I've always been when it comes to those promising "educational elixirs" and promises of quick cures. It's as if I've been given free reign to question and examine relentlessly all these things about education that we take for granted and take as a given. 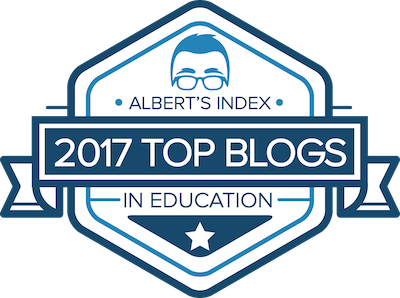 As the intellectual leader of my school, I have come to understand that "experts" in education are sometimes better at selling their wares than actually improving our field, but that is another blog post altogether. All these years I've talked about leadership practices, teaching practices, and practices of engaging in using technology. Now, due to my explorations and doctoral readings and studies, I walk around each day on my job with each of these enclosed in quotation marks. In fact, every time I hear another educator or education consultant use the word "research-based," I see the quotation marks there too. Why is that? It is because these postmodernists-poststructuralists-deconstructionists have disturbed what I took for granted as the boundaries of our field of education. My dissertation experience has fostered a new habit of mind that demands that I be both inquisitive and question relentlessly. Some would see no practical value in being this way. I disagree. This "ethos of critique" I live in now has freed me to think even more outside the box than ever. If we want to innovate and be creative, we have to suspend the rules and think in ways that are out of bounds. Besides, who was it that got to decide what is "out-of-bounds?" There's a long list of individuals whose thought was initially out-of-bounds. Now, I am not so Trump-like to say that "only I can solve the problems of education," but I enjoy thinking beyond the boundaries now more than ever. So, what has this dissertation journey done for me so far? It is teaching me to think "out-of-bounds" and not worry whether some other educator-referee is going to call me on it. After all, who made them referee? Most of us face situations where success seems impossible or improbable. Many of these situations involve what Malcolm Gladwell calls "Goliaths." These are adversaries or adverse conditions that appear to be insurmountable. In education, we often find ourselves in these "Goliath" situations where our initial assessment is that we can't possibly succeed, because we are out-manned, out-resourced, and out-powered, but according to Gladwell all is not lost. At the heart of our problem is our misconceptions about the situation and about who really has the power. Rethink the idea of what an "advantage" is. Conventional wisdom sometimes tells us what is an advantage. For example, being a small school might seem to place that school at a disadvantage. It might not be able to offer all the extra-curricular activities, classes, and programs that a much larger school would be able to offer. Yet, the "advantage" the smaller school might have has to do with its ability to be more flexible, and hence change and improvements might be implemented much easier and more quickly than in a larger school. Nimbleness is certainly the case with smaller schools with smaller staffs. Often they can react more quickly and gracefully to changing conditions. We can as Gladwell tells us, turn our disadvantages into advantages. Change the rules. Often, in the midst of situations where we face adverse conditions, and we feel that loss is eminent, we feel hopeless. We feel hopeless because, in that situation, if we play by the rules, we are certain to lose. But, who said we had to play by these rules? Why can't we change them, modify them, and approach the adversity in an entirely new manner? Like the David and Goliath story, David chose not to engage the giant in a conventional manner, because he would have surely lost. Instead, he fought unconventionally and in a way his adversary wasn't expecting and won. Changing the rules is climbing out of the box systems put us in and reinventing the game. When you're faced with a sure loss, what do you have to lose? Use what you have. All of us in adversarial situations facing sure defeat, begin to engage in "What-if" thinking, such as, "What if we had more computers?" Or, "What if we had more money for teacher salaries?" The rest of those questions are outcomes we would like to see. Sometimes, though, in the face of adverse and adversarial conditions and sure loss, we have to turn to what we have, and often what we have and what we control is more than we think. For example, if you want a 1:1 computer program and can't find funding to purchase computers for every student, then "use what you have." Perhaps enough students have their own computers and you can open your network for BYOD and just purchase computers for those who can't afford them. This accomplishes the goal by "using what you got." Sure defeat isn't always a sure thing, as Gladwell makes very clear in his book, David and Goliath. We can prevail in more situations than we think by being willing to rethink our advantages, changing the rules, and just using what we've got. How do you measure the true educational impact of a teacher? If you consult psychometricians, they say it is simple. You pre-test, deliver instruction, and you post-test. On this our "educational sciences" are based. But do these tests really measure the teacher's most important impact on students' lives? Is the most important task of a teacher to demonstrate that they can "improve a student's test scores?" And, equally important, no matter what our state and federal education bureaucracy tells us, "Are these state standardized test results really capturing learning that will be meaningful to those students' future lives, or are these results simply better predictors on how students will score on other standardized tests?" 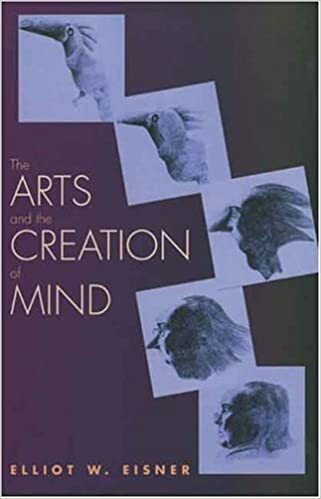 Elliot Eisner's book, The Arts and the Creation of Mind depicts an image of a teacher that is much more complex and complete than that currently promoted by the "education sciences" to which modern education finds itself enslaved. The teacher is much more farsighted than the teacher who can't wait for the latest standardized test scores at the end of the year. Eisner's teacher is an "environmental designer" who "creates" situations and places where students gain "an appetite to learn." Eisner's teacher is not a technician who uses "test data" to choose "canned scripts" and the latest adopted "scientifically validated methods and curriculum" whose purpose, is not to inspire wonder and imagination, but whose purpose is to make some education administrator or politician feel like they are effectively improving education. The teacher should not be teaching by following recipes; they should be engaging students in a "mind-altering curriculum" that forever changes them into forever learners. What's wrong with the current grip that so-called "education sciences" have on schools is that they have created an impoverished, assembly-line form of education that students don't have to participate in; they only need to be subjected to it. Our education system still strives to run "smoothly," in a standardized manner and as efficiently as possible, and to get as many students through the credentialing process. It is short-sighted and its vision can't see beyond the "testing extravaganza at the end of the year. But as Eisner makes clear in his book, if you really want "educational gold" in the classroom, then a "high-degree teaching artistry is needed. You need classrooms of "improvisation and unpredictability," not classrooms constructed according to rigid scientific principles. The teacher, in this innovative and creative classroom, is not a scientist who constantly studies the latest test data and looks at his repertoire of "research-based, scientifically-validated" classroom scripts for the one to apply because the data indicates it is called for. The teacher is what Eisner calls "a midwife to the child's creative nature." As I look back at my years in elementary school, I see one teacher who I would really say was the midwife to my own creative nature. She didn't make noise about my performances on tests. She genuinely questioned and encouraged me when I showed curiosity in the solar system, astronomy, biology, tadpoles, frogs, and trees. She listened attentively when I read stories I had written aloud in class and encouraged me to write more. She encouraged me to read anything and everything I could get my hands on in our school library, even helping me get permission from the librarian to wander into and check out books from the "junior high section" instead of the elementary section where all six-graders were constrained. I read more books that year than perhaps in any other time of my life because of her. In a word, she designed an environment that helped me grow my curiosity and a massive appetite to learn that is still alive today. My greatest concern with the Standards-Standardized-Testing-Research-Based-Accountability educational milieu we've created in our schools is the damage it is doing to students far into their futures. Does all this focus and obsession with test scores really matter in the lives of our students? The true impact we have on student lives is an impact that hasn't happened yet, and its an impact that can't be measured by standardized tests. My sixth grade teacher had no idea that the classroom environment she created would mean that I would become a teacher myself. She had no idea that I would become a principal. She also had no idea that my passion for reading, writing, and appetite to learn would stay with me the rest of my life. Perhaps if we really want to focus on "student outcomes" we need to set our sights beyond test data and create places of imagination, creativity, and innovation where curiosity is treasured, learning is not just measured, but valued. Not everything worthwhile can be reduced to pre-tests and post-tests, and the real impact of our work with students will be measured by the lives they live far beyond the classroom. 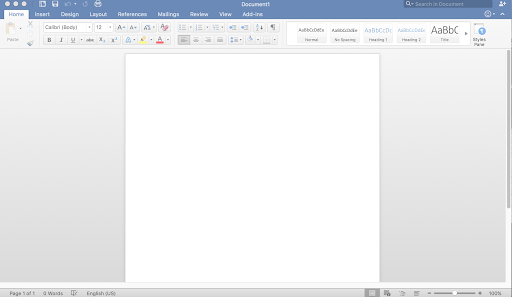 Evernote Raises Prices & Degrades Service for Basic Users: Is It Worth It for Education Users? Evernote is increasing its pricing for Premium users and Plus users while degrading service to those who have chosen to use the service's Basic option. I have been an Evernote user and a premium user since May of 2010, and I have often blogged about its capabilities as note taking software. I have also led staff and professional development about the product. I still use it every day, both personally and professionally. Still, I hope Evernote knows what it is doing. In a blog post (see "Changes to Evernote's Pricing Plans") the company claims that it "doesn't take change to our pricing model lightly, and we never take you for granted." I certainly hope so. I certainly understand that companies like Evernote need to raise revenue for improvements, but this personally places me at a price point where I begin to ask the question, "Is the yearly subscription price worth it?" It's not like there aren't other less expensive options out there. For example, I've used and still use Microsoft's OneNote, and I could so easily switch to it and accomplish what I want with that software, or even find some other alternative, but I have loyalty to Evernote as a great product, but changes in prices and functionality weaken my loyalty as a long-time user. At this point, I will wait and see what Evernote does with the added revenue, but I do have these words of caution for Evernote. I am not a business user, so I do not really care to see improvements that make the product better for corporate America, unless these also improve my own functionality. To assume that those business improvements to Evernote software make it a better product for my job as an educator and education scholar is a mistake. Often companies forget core users in their efforts to capture new markets. I hope this isn't what Evernote is doing. 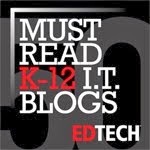 As an educator, I chose Evernote in 2010 because it was a great note-taking platform that was inexpensive, versatile, and accessible across devices. At that time, it didn't pretend to do something else. It was reliable. It did exactly what I wanted it for. But this is important: Improvements of a product aren't always improvements to all users. If Evernote is making these changes in pricing and packaging to go after business users, there is the danger that they are forgetting us, the education users and everyday users who have been passionately loyal, like in my case, for 6 years. I am not at the point of cancelling my Evernote account yet, but I want that company to know that I will be watching out for those "improvements." If I am going to be paying more for Evernote, then you can bet my expectations for your product have gone up as well. Your claim that you aren't "taking me for granted" will only prove true over time. Did SAS Provide Gifts to UNC System for Special Future Considerations of its EVAAS System? It seems, according to an article, software giant, SAS, who already has a multi-million dollar contract with North Carolina Public Schools for its EVAAS value-added software system, provided undisclosed air travel for the UNC Board of Governors and candidate Margaret Spellings during the recent presidential search. (See WRAL's "SAS Provided Undisclosed Air Travel During UNC Presidential Search.") This raises some interesting questions. Most of us in education are very aware that SAS would stand to gain should North Carolina adopt some of the proposals that would evaluate new teacher programs by tying the performance of these college programs to "student growth measures" on state standardized tests. In light of these "gifts" to the UNC system, SAS would "just happen to be there" with its EVAAS system should North Carolina make this adoption. Is it not equally interesting that SAS provided air travel to Margaret Spellings, whom most of us in education see as a major advocate for standardized testing and accountability measures? We have her to thank for her support of the failure of the "test and punish" systems of accountability under No Child Left Behind. Naturally, SAS obviously wants someone as UNC president who would push the same kinds of measures at the university level, so why not provide her air travel? I submit that this means that North Carolina sees the adoption of EVAAS value-added measures in the future for all North Carolina university teacher education programs. Ultimately, the UNC system in situations like this should not accept gifts from corporations who might stand to gain from future university decisions. The UNC system should reimburse SAS for the entire amount of these "gifts" to ensure that it is not subject to being bought by corporations. It is a matter of integrity, which our universities still have and our state politicians do not. It's also very convenient that SAS did not disclose the gifts as they were apparently supposed to do. Are the Concepts of 'Grit' and 'Mindset' Attempts to Erase Importance of Social Justice & Equity? While reading an essay entitled "Foucault, Power, and Organizations" by Stewart Clegg, I have begun to write and congeal thoughts about the new embrace by educationalists of the ideas of teaching students about "grit" and "mindsets." More and more books you pick up on educational methods and teaching practices seem to increasingly refere to Carol Dweck's ideas about "mindsets" and their role in success . (I have read her book, Mindset: The New Psychology of Success.) Then there's all this discourse about "grit" as well. Though this concept goes back to Francis Galton, Duckworth, in her book, The Power of Passion and Perseverance, has more recently brought this term to the forefront. When reading Clegg, he writes: "Bio-power normalizes through discursive formations of psychiatry, medicine, social work and so on. The terms of these ways of constituting the normal become institutionalized and incorporated into everyday life. Our own reflective gaze takes over the disciplining role as we take on the accounts and vocabularies of meaning and motive that are available to us as certain other forms of account are marginalized or simply erased out of currency." Is the employment of the now "psychological concepts of 'mindset' and 'grit' a means of constituting a new normal using the psychological and educational sciences to marginalize ideas of social injustice and inequity? Is the employment of these concepts in the educational apparatus a means to erase any thoughts or ideas of inequity and social injustice from our society? The discourse of "grit" and "growth mindset" could function as a discourse that seeks to install a 'reflexive gaze" into students that asks them to disregard their circumstances in life, their experiences of poverty, misfortune and lives lived in inequity, and "get with the program." It is an explicit "scientific" manifestation of the "bootstrap mythology" that propagates the idea that "if you work hard, then you will be successful." It is a reflexive gaze which banishes any thought of inequity in society. It is directed at the souls of students to make them docile and compliant with the educational program. It conditions individuals to ignore inequity in society and allows those who continue to stack the economic system in their favor to retain their pre-eminence. It attempts to dispel any resistance to a socially unjust society. Ultimately it is a application of the psychological and educational sciences to the service of disciplining those who question the injustice of society. I think perhaps before we jump on the "mindset" and "grit" teaching methodology bandwagon, we might want to ask some of these and other critical questions about what they really are doing with our students and our society. Is All This Talk About Grit and Growth Mindset Nonsense? All this talk about "grit" and "growth mindset" as a means to get students to think in such a way as to "erase" the realities of the difficult circumstances in which they live seems to me as a way for politicians and educators to absolve themselves from the guilt of the inequality and inequity that exists in our society. Instead of advocating for the less fortunate and calling attention to how those with the most resources are exploiting the system and rigging it in their favor, we are being told as educators we simply need to tell students to engage in the "power of positive thinking" and they will be able to overcome their lives of misery and misfortune. It is the "bootstrap myth" now wrapped up in new clothes termed as "grit" and "growth mindset." What do we tell students 10 or 20 years later with the myths have faded and their lives haven't been magically transformed by the "power of positive thinking?" I didn't exactly grow up in the level of poverty and misery that I often hear many of my students experience, but I did grow up with a family of five kids and two parents who worked incessantly to provide for us. We perhaps did not live in hunger as some kids experience today, and I can say I always had a coat and shoes to wear. But, I was all too well aware that I did not always have the things my classmates had: a car to drive to school bought by my parents, the most fashionable clothes, or the latest gadgets. I was often aware that money was tight, which meant that I sometimes had to work in order to pay for some of the things I wanted, like my high school class ring or those senior field trips. Those who adhere to the "bootstrap mythology" would say I perhaps was a better person because of this. Perhaps, but is there not something fundamentally amiss here? Still, why is it that some don't even have to worry about "pulling themselves up by bootstraps" and others do not. All of this reminds of one instance where my own family circumstances had a direct impact on my class performance, and no one ever knew. My sophomore year in high school I took a world history class. A major assignment for this class was the creation of a scrapbook of newspaper articles on current events. The teacher's requirement was that each article had to cover current events in a foreign country, and the final grade for the course was, in part, based on my ability to cut and paste articles from countries around the world. The broader the international representation of articles, the better the final grade at the end of the semester. Sounds like an easy assignment, right? It turns out I did not do well with this assignment. Why? As I mentioned earlier, my family was large and money was tight, so it turned out that they only newspaper I had access to was our hometown newspaper, which, if I was lucky, during an entire week, it might have a single article covering an international event. This meant that it was very difficult for me to collect international current event articles for this major assignment. In the end, this translated into a much lower grade for this course, not because of my knowledge of the content, but because my parents did not subscribe the correct newspapers. Now those who aspire to the "grit" philosophy would say that I was perhaps not resourceful enough; that I gave in too easily. Surely I could have scrounged up 25 cents for a more comprehensive and internationally focused newspaper, they say. Perhaps in my "closed mindset" I just discounted any opportunities that existed for me to properly complete the assignment. After all, I only needed to let the teacher know of my predicament and she would have helped me locate resources. Well, all that may be, but what about the lack of consideration by the teacher in the first place? This teacher just assumed that her students would have access to regular newspapers that consistently captured international current events. In the end I was not graded on my ability to understand world history, but on the simple fact that my family did not subscribe to a daily newspaper that covered more events than the local watermelon festival. I say all this to emphasize that when we talk about "grit" and "growth mindsets," we have to be very careful that we do not use that as an excuse to totally ignore where our students are coming from. Putting unrealistic hurdles in front of our students, and justifying them by saying that they will help them grow is utter nonsense. We can't ignore the impact of our students' backgrounds when it comes to their achievement. Sometimes the deck is stacked against them, and it is our job to step forward, and not use it as an excuse for poor performance, but use it as an opportunity to advocate for equity and social justice. Long ago, I quietly accepted my mediocre grade in that world history course. No one ever knew the real reasons why I did not have 50 articles in my scrapbook. I suspect many of our students today do the same. The ideas of 'Grit' and 'Growth Mindset' should never be used to ignore the poverty and lack of our students; real worlds. It seems new Secretary of Education, John King seeks to continue the same reliance on test scores and superficial ratings systems to determine how effective schools are doing that his predecessor Arne Duncan pushed. From his recent remarks, King wants to force states into using a "A-F Rating system" (or something similar) to rate the effectiveness of schools, which happens to be the same nonsensical idea that the North Carolina Legislature and North Carolina Governor Pat McCrory has imposed on public schools in North Carolina. (See "Education Secretary Takes Heat for Pushing Single Rating of Schools"). He wants states to come up with a "single summative rating for schools or districts" that captures the success or failure of schools in the most simplest way possible. But I have a question for Secretary of Education King: What if the success or failure of a school is not reducible to a single letter or number grade? What if there are so many factors that aren't captured in test scores that attribute to the success or failure of schools? What if education is too complicated for your idea of reducing it to a single rating? All King needs to do is look at our North Carolina's A-F public school rating system if he wants to really see how ludicrous this idea is. North Carolina's school rating system rates schools with low poverty students much better than it does their effectiveness. (See The News and Observer article, "NC Public School Letter Grades Reflect Wealth of Students' Families"). King's continued push of the whole idea that all the things schools do to be successful can be captured in a single rating system shows how little he really understands the complexity of schooling and education. His misguided leadership and push for this "rating system" will only continue the failed policies of No Child Left Behind and Race to the Top. At some point this Quixotian search by politicians and education leaders for a way to capture school and teacher effectiveness with numbers, ratings, and opaque statistical measures has to be abandoned. With each successive Secretary of Education, President, and revision of federal law, this viral idea that there is a simplistic measure of school or educator effectiveness gets passed on, despite the fact that some states, like North Carolina, have been piddling with this idea for well over 20 years now. Schools, teaching, and education are simply too complex to be reduced to an arbitrary number, letter or "Not Met" rating. Teachers in the classroom and principals in the schools know that their places of practice are too complex and involve too many factors beyond the control of the school. Parents and teachers grow tired of all the testing. Our schools continue to be more concerned about test scores than actual students. All of this happens because of education leaders from the Secretary of Education's office, down through state departments of education, to the local level, just can't let go of their dream of finding a simple measure of education effectiveness. A "summary rating system for schools, teachers, or educators" is nonsense, and is clearly an idea promoted by people with little understanding of teaching, learning, or schools. I am beginning to ask: Do we really need a Secretary of Education and a US Department of Education? It really does make me wonder if it is time to dismantle the US Department of Education, because it bears a big responsibility in the "test-em-if-they-breathe" failures of education policies since 2000. Is Getting Students ‘College-and-Career’ Ready Just Empty Blather? As is clear from a post by EdNC entitled “Questions at the State Board on Quality of Graduation Rates,” the is some question about just how much our schools in North Carolina are successfully getting our students, especially poorer and minority students “College and Career Ready.” Our North Carolina State Board of Education, in a meeting this week, questioned North Carolina’s highest than ever graduation rate because although the state is graduating more students than ever, there are still serious gaps in “College and Career Readiness,” as indicated in testing data, between African-American students and other racial and ethnic groups. Yet, I can’t help but ask a very serious question: If we’re serious about getting students “College and Career Ready” then what are we really getting them ready for? Let’s face it, college costs are higher than ever, so are we getting them ready for something many of them won’t be able to afford anyway? Are we getting them “College and Career Ready” so private banks, lenders, and our student loan programs can saddle them for life with enormous amounts of debt? Why spend all this time and energy getting students ready for something they might not be able to afford anyway? I am certainly not arguing about the noble nature of the goal of getting every student ready for college attendance or for getting a good job once they graduate. But, and this is where I scratch my head, I can’t help but wonder if for all our effort, we’re not lying to students. While there’s so much talk about getting our students “College and Career Ready” there’s little or no talk by our policymakers, politicians, and even educational leaders at the K-12 level about making college affordable to all. There’s something that really smells bad about getting students “College-Ready” and then making them turn to loans. Isn’t that in some ways turning them into indentured servants? If we’re going to talk about “College and Career Readiness” at all, perhaps our policymakers, politicians and state and local education leaders should be advocating to make college affordable. And, while we’re at it, let’s make sure there are jobs that offer opportunities for our students to earn a comfortable living wage and provide rewarding careers. If not, we’re dressing them up for a party that will never happen. I am being totally honest when I say I shudder when I hear educators and policymakers use the phrase “research-based teaching practice.” It’s like when someone runs their fingernails across a chalkboard. Those of us who remember chalkboards also remember the degree of inner discomfort that accompanies that experience. I even used it as an attention-getter in my earliest days of teaching, but I digress here. Why do I shudder with discomfort with the phrase “research-based teaching practice?” Well, for starters, I am not totally convinced that such an entity exists, at least well-enough to earn such a scientific label. Before the rotten tomatoes start flying in my direction, let me explain myself. As I wrote these “objectives” I was told that they had to be measurable, which actually was a maddening requirement for a future high school English teacher. So much of the things I wanted students to do with the great literature of the world along with their creative writing, came out knarled and unrecognizable when twisted into a “performance objective” recipe. Measurability was so much more than simply answering an “objective multiple choice question.” I shuddered then, but I wrote my “performance objectives” for my unit project, turned it in, and never looked back. This practice was simply too superficial to be useful in the high school English classroom. Fast forward today, after 16 years in the high school and middle school classroom and 10 years as a principal, I think I now realize why I have always shuddered a bit when it comes to the mention of “research-based” teaching practice. It is simply this: such a phrase simply implies that its “research-basedness,” if I may invent a word, implies that it is validated through accepted standardized test results. It reminds me of that earlier “curriculum design” course from years ago. All that is worthwhile is measurable was the main principle of curriculum design I learned then. My experience has been that “educational practices” that are validated through traditional, measureable results from tests ignores so much of the complexity of classrooms, teaching, and student learning. In fact, often what is advertised as “research-based teaching practice” is a practice that only works some of the time. Rarely, does any teaching practice work every time, no matter how much research backs its application. That is because there is so much in our endeavors as educators beyond our control, no matter how much we like to think otherwise. I am certainly not saying that there is no such thing as “research-based” teaching practices, but I think the shudder I feel goes back to my own discomfort experienced in the curriculum design class years ago. As became apparent to me then, a great deal of what we do as educators is not “measurable” in conventional ways, and some ways may not even possible. To try to make it measureable distorts and twists the learning into something superficial and unrecognizable. Sometimes trying to force the label “research-based” on teaching practice distorts that practice in the same way that trying to force “performance objectives” did with my high school literature unit years ago. Today, I am glad that I shudder when someone starts throwing around the phrase “research-based” in education these days. That tells me my BS alarm system is still working. The real problems of education are not empirical ones, but rather profoundly moral, economic, and political ones." Emery J. Hyslop-Margison;Ayaz Naseem. Scientism and Education (Kindle Location 703). Kindle Edition. Test Pep Rallies potentially harm students and learning. It's one thing to encourage a student to do his or her best; it's another to place emphasis on performance levels, where self-worth might be wrongly tied to test results. In my thinking, Test Pep Rallies have too much potential for making state test results too important, especially if held for the purpose of promoting test performance. Encourage students to always do their best, not just when testing season comes along. Test Pep Rallies reinforce the "Culture of Test Prep" in schools rather than worthwhile learning. Very little worthwhile learning takes place in schools where test prep is the goal for everything the school does.Its one thing to use data in decision-making; its quite another to use test results to determine everything that happens. Test Pep Rallies are about Test Prep, not about celebrating accomplishment. They're shortsighted practices for the short term that has not lasting impact on anything. Test Pep Rallies are a waste of time. Why do we even want to elevate a standardized test to such a high level? Students could be celebrating real learning and accomplishments instead of focusing on a test no one will pay attention to five or ten years in the future. In the season of testing, it is so important for administrators to keep testing in perspective. Elevating standardized testing through Test Pep Rallies places too much emphasis on something that already consumes too much of our instructional time. Of course we all acknowledge state standardized tests can't possibly measure everything that matters. Our state even forbids the use of state test scores as the sole basis of making high-stakes decisions. Yet, as the season of testing falls upon us, the obsession with bubble sheets and number two pencils begins anew. But we need to be reminded that tests are only a small piece of information that matters about our students and our teachers. Before we start scheduling the "Test Prep Pep Rallies" and giving our students those motivational speeches that elevate these tests higher than they should be, we need to be truthful with our students: in the grand scheme of public education, these test scores do not measure what's most important, and the results certainly do not come close to capturing what it means to be an excellent teacher, especially when excellent teachers impact lives more than test scores. Recently, a Florida teacher wrote this letter to her students just before the onslaught of state tests. I think perhaps it reminds us that testing should always be put in proper perspective, not elevated to some major life goal or achievement. No one is going brag 10 years down the road that they made a "Level 5" on their English End of Course Test or their Biology End of Course Test. As this teacher points out, there are many more things worthwhile to brag about. This week you will take your Florida State Assessments (FSA) for reading and math. I know how hard you worked, but there is something important that you must know. The FSA does not assess all of what makes each of you special and unique. The people who create these tests and score them do not know each of you the way I do, and certainly not the way your families do. They do not know that some of you speak two languages, or that you love to sing or paint a picture. They don't know that your friends can count on you to be there for them, that your laughter can brighten the dreariest day, or that your face turns red when you feel shy. They have not heard you tell differences between a King Cobra and a rattler. They do not know that you participate in sports, wonder about the future, or that sometimes you take care of your little brother or sister after school. They do not know that despite dealing with bad circumstances, you still come to school with a smile. They do not know that you can tell a great story or that really love spending time (baking, hunting, mudding, fishing, shopping...) with special family members and friends. They do not know that you can be very trustworthy, kind or thoughtful, and that you try every day to be your very best. The scores you will get from this test will tell you something, but they will not tell you everything. There are many ways of being smart. You are smart! You are enough! You are the light that brightens my day! So while you are preparing for this test and while you are in the midst of it all, remember that there is no way to "test" all the amazing and awesome things that make you, YOU! Thank you for taking the time to read this. Please keep all kids in the state of Florida in your thoughts tomorrow. Thank you." Here's my own three reminders to educators as we find ourselves on the eve of another "Season of Standardized Testing." 1. As we move into the "Season of Testing" let's remember that we don't teach test-takers; we teach real human beings with interests, hopes, dreams and passions that can't be reduced to multiple-choice questions. 2. As long as students and teachers give us their best, we acknowledge and celebrate that. Celebrate accomplishments such as poems written and published; hours of world-changing community service served; and songs written and sung. Celebrate what the bubble sheets ignore. 3. Keep testing in its place as one piece of data. Don't elevate it needlessly. Don't hold school-wide pep rallies that elevate these things superficially. Leave in their place. Is It Time to Question the Place of Football in High Schools? As it becomes clearer and clearer that repeated blows to the head while playing football causes CTE, or chronic traumatic encephalopathy, perhaps its time to question whether we can really guarantee that the thousands of young men who play high school football can really be safe from serious future brain injury. The truth is, parents trust that when their child puts on a football uniform that there is some degree of safety involved, but what is apparently becoming clearer, repeated blows to the head have long-lasting serious health effects. I think it is past time for high schools to begin questioning whether the sacrifice of future health and well-being is worth the fleeting moments of glory wrought on the high school football field. Sure, the argument can be made that taking risks is a part of life, but do we really in good consciouse want to ask a 16, 17, or 18 year old to sacrifice their future well-being for a game? I realize that high school sports have a strangle hold on public education. For many schools, the only succeess they experience is on these fields. Yet, we do need to be conscious of all that we’re asking our students to sacrifice when they choose to participate. As a high school football player who suffered a life-changing injury many years ago, I can’t but wonder how my own life would have been different had I knew 40 some years later the physical damage it would have caused. Could it be that at the heart of the reluctance by North Carolina political leaders to provide raises to teachers is the Taylorist belief that “most teachers are lazy, therefore, none of them deserve a raise?" In his Principles of Scientific Management, Frederick Taylor made it clear that he believed that workers are inherently lazy and will seek to do least amount of work they can. There can be no doubt that Taylor’s Principles have been and consistently are applied to education, but this stubborn reluctance on the part of our state political leaders seems to defy logic at times, unless your logic happens to be based on Taylorist principles. That logic goes: “Because most teachers are lazy, we only want to reward the few who aren’t." Taylor’s Principles of Scientific Management, though written a little over a hundred years ago are still bedrock thinking in business and I would contend much of our schools and their operations. Since our legislative leaders see the application of the business and corporate model to everything as the ultimate answer, it only stands to reason is that the last thing they want to do is give those “lazy teachers a raise.” Instead of finding ways to improve North Carolina teacher pay , they continually look for ways to reward “good” teachers. The problem becomes though how do you define “good” teachers? If you follow Taylorist principles to the maximum, you must rely on science to identify those “good teachers.” In our American Taylorist education system, the only measure of a “good teacher” often perceived to be “scientific” is a test score. A merit pay system where pay is based on test scores is usually the option explored, because, after all, the job of teachers is to produce student achievement, and test scores are an accetable proxy for student achievement. But most psychometricians and educators who know education, know this to be incorrect. Tests just are incapable of capturing all worthwhile learning, and they are impossible instruments to measure achievement in the arts and performance-based disciplines. If you make the product for which teachers are rewarded test scores, then anything that can’t be tested or is not tested automatically becomes irrelevant. So then how do you reward “good teachers?” Some of our politicians talk about rewarding teachers who work in science and math, and other hard to fill areas with more pay. Additionally, they want to pay more to teachers who take on additional responsibilities. Certainly, it is understandable to try to find ways to fill those math and science positions, as it is also understandable to try to find ways to reward teachers who take on additional responsibilities. But by focusing only those in hard-to-fill areas, aren't they saying that only teachers in math and science are “good teachers?” “Good teachers” are not just those who teach in areas deemed “highly-valued” by the current regime. To reward only those teachers immediately subjugates English teachers, foreign language teachers, kindergarten teachers, and guidance counselors. They are not seen as valuable. Our cultural richness exists because the arts are valued, literature is valued, film is valued. Like a good Taylorist though, our political leaders and even education leaders want to subjugate every aspect of education in the pursuit of economic dominance anyway. As far as rewarding teachers for taking on additional responsibilities, what about the hard and difficult job that these teachers already do? The idea of rewarding additional responsibilities is so wrought with the stench of Taylorist thinking, that it should be discarded immediately. It communicates to all teachers that they do not deserve a raise. It tells them they are not working hard enough. It tells them that they currently do not earn the salaries they currently receive. In the end, our state political leaders don’t really think our educators in this state work hard. There are certainly lazy educators, just like there are lazy legislators, governors, and business men, even CEOs. Lazy leadership is relying on belief without going out and gathering the facts before making decisions, and that’s what these merit pay ideas demonstrate. Our political leaders need to perhaps spend some time in the shoes of a kindergarten teacher or of a urban school principal. They perhaps they can make the correct decisions about educator pay. Micro-Credentialing: Potential New Professional Development System or Fad? Last evening, while participating in an #NCED Chat, I encountered a new idea for professional development called “micro-credentialing.” To be honest, I had seen the term, but had paid little attention to it until this Twitter chat. I think perhaps my understanding of “Micro-credentialing” was a bit mistaken at first, because I thought it was simply a system of using “badges” to reward teachers for the various kinds of training they do, very similar to what the boyscouts do. From my own experience and reading, such a carrot and sticks approach to professional learning set all kinds of alarm bells to ringing. But after reading about it a bit more, it looks to me more like a new system to deliver “professional development” to teachers. According to my understanding now, the so-called “merit-badges” are incidental to the practice of trying to find ways to “certify” the skills which teachers have obtained, and they are not carrots to be dangled in front of educators to get them to engage in personal professional development. My understanding of “micro-credentialing” is that it is simply a system of delivering educator skill training in a more personalized manner. I think any attempts to modify professional learning in a more personal manner is laudable, since so many times, the sit-and-get trainings too often do not address personal needs. Despite the promise of “Micro-credentialing,” its ability to cross over into sustainable practice, there are some larger questions that have to be answered and problems that will need to be addressed. First of all, credentials of any kind have to “mean something” to the practicing community, or have “value." To mean something those skills credentialed have to have value in the profession. For example, simply having a merit badge that indicates you’ve mastered a teacher skill like “wait-time” or “Grit and Reseillance,” as I found in one micro-credentialing system, must have some kind of acknowledgement from the profession that it is meaningful. 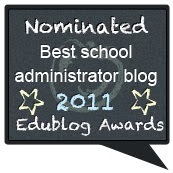 If a teacher has earned a “badge” then the profession must look upon it as important and something to valued. It is this hurdle that might prove most difficult to any micro-credentialing system. Somehow, those distributing the credentials have to convince the profession and all those within it, that those credentials are valuable and really do mean something, and it is going to take more than quoting research to make that happen. The teaching profession is a social entity with its own rules for determining what has value and what has not, and which discourse is accepted and which is not. Just declaring that a badge has meaning by decree because it is backed up by research isn’t necessarily going to make it meaningful or give it value. This can be especially problematic because most educational research can be contradictory about the values of some of these skills. For example, one study may support the importance of that skill, and another study may lessen its importance. So much of what is declared effective in education is often subject to contradiction at times, so simply trying to validate micro-credentials with research isn’t always necessarily going to work. In the end, for this new way of delivering professional development to have value and meaning, the profession, not state level or federal government levels are going to determine its validity. Secondly, if “micro-credentialing” gets too cozy with for-profit business, it could take on the same mistrust that education professional often still have for “for-profit” learning in general. My online reading about the micro-credentialing area seems to be tied to possible business ventures.There are centainly concerns about this. Business ventures in micro-credentialing would only succeed if as many people as possible earn the credentials, which means, it is not in their interest to prevent individuals from obtaining the micro-credentials, even if they haven’t quite met demonstration requirements. If they make the process too rigorous, profits will be smaller, making the whole enterprise not sustainable from an economic perspective. Because of this intense need for profit, these micro-credentialing business ventures could potentially become a “Micro-credentialing mills,” where payment equals badge. If that happens, the educational professional community will hardly see these credentials as being valuable and meaningful. In my estimation, because of this, the success of “micro-credentialing” will rely on colleges and universities leading the way, with practicing professionals being part of the process of development, introduction, and implementation. Finally, for these “micro-credentials” to have credibility, careful attention will need to be focused on the credentialing process itself. For example, if obtaining the micro-credential involves demonstration artifacts, these artifacts must be complex enough to capture the skill being credentialed, and they must be perceived not as just a “hurdle to jump” or “check-box” to check. They must be authentic. They must be representative of the skill learned. But the reverse side is that developing the artifact must certainly be attainable with all of the other demands that teachers and educators have. The problem with most current professional learning, if demonstrations are required as a part of the process, they are perceived as hoops to jump through to obtain the credit. Once the credit is obtained, the learner never applies that learning again. Giving micro-credentials can give those who obtain them the false sense that I have learned that skill entirely. Most educator skills are much more complex, so that even if one understands it in one context, they may not be able to apply in other instances. Micro-credentialing does offer an interesting system of providing individualized professional learning for educators. Unless its implementation considers these pitfalls and many others that befall educational programming, it could also be just another gimmick and fad. In the end, it is perhaps those who earn the micro-credential who will determine the fate of this idea. Those who have the credentials must genuinely be able to demonstrate those skills consistently in the live environment of the classroom. For example because I once learned how to tie four kinds of rope knots, does not mean that I can do it indefinitely, and in the midst of a raging storm. Credentials only mean something when they impact practice daily.